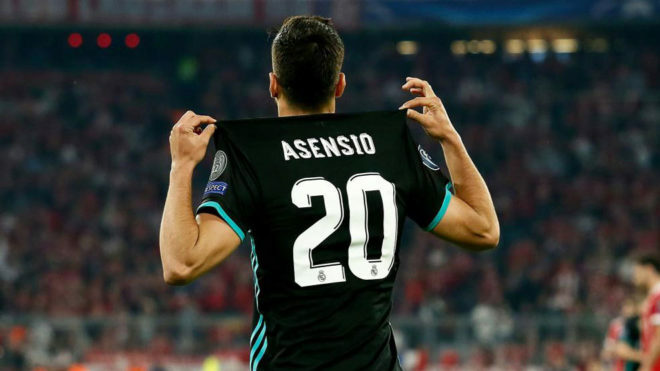 A third consecutive Real Madrid victory in Munich came about thanks to goals from Marcelo and substitute Marco Asensio, a player who loves testing himself against the Germans. Los Blancos have now got one foot in the final in Kiev despite being far from their best. As against Paris Saint-Germain, on that left-hand side Asensio was right at home, and he added another goal for his collection of great moments, a vindication for Zinedine Zidane. Keylor Navas was at fault for Bayern’s goal but he certainly made up for it with a string of save in the second half. The noise will grow around him again, but right now the Costa Rican is on his way to his third consecutive final. Lucas Vazquez’s value is priceless to the coach too. The Galician started after, remember, being one of the discarded players in Cardiff. He was on the right wing to attack Rafinha, who ended up giving away the ball away in a move which ended with Asensio’s winner. When Carvajal was subbed, Zidane gave Lucas the responsibility of playing right-back in front of a Ribery that was on fire. Luckily Guardiola was not on the bench as Robben and Boateng went off with muscle injuries before half-time. Problems to add to those of Arturo Vidal, and Manuel Neuer. Pep’s disputes with doctor Muller-Wohlfahrt keep on coming back as a subject that is front and centre for the Bavarians, but so many injuries can’t just be down to bad luck. Another big game where Bale was left without playing a single minute. The days and the matches pass and the Welshman is more and more outside the club than inside. Indeed, everything points to the end of the Welshman’s time in Madrid.